The original Laugh Lines booklets are sadly out of print and jealously hoarded by magicians and comedians. Individual volumes are hard to come by - especially the later volumes, which are nearly impossible to find. 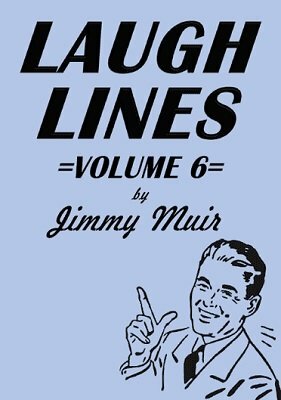 Good news for entertainers is that the Laugh Lines collection is once again available in this new, fresh series. This revised edition replaces the occasional dated, pop culture bits and replaces them, on a two-for-one basis, with new, fresh material to liven up your club, close-up or stage act. Twenty-six new pieces were added to this revised edition. 1st edition 1952, PDF 35 pages.